It took a few years, but FINALLY(! ), you no longer need a smartphone or tablet to control your DJI drone. Dronemaker DJI launched its new Smart Controller at CES 2019, a massive tech trade show in Las Vegas. The Smart Controller finally allows pilots to fly (some of) DJI’s drones without using a smartphone or tablet. It has a built-in 5.5” screen and an ultra-bright display with an output of 1000 cd/m2, twice the brightness of standard smart phones. Essentially, the new DJI Smart Controller will perform the same functions that the DJI Go app on your phone or tablet used to do — but way better. The controller currently works with the Mavic 2 Zoom and Mavic 2 Pro. Previously, DJI required you to download its DJI Go app on your smartphone or tablet and connect it to your controller to be able to fly and view the livestream of your drone’s camera. I didn’t love that experience, preferring to keep all my hardware in the same ecosystem. I felt the experience of having to hook up my phone meant that not only was I responsible for maintaining my drone, but I also had to ensure my phone was charged and the software was updated. One of the reasons I will sometimes recommend competitors such as Yuneec’s lineup over DJI’s is just that very reason: the screen is built into the controller. Let’s just say the new controller is a hugely welcome change, and continues to propel DJI miles ahead as best dronemaker on the market. DJI also launched an enhanced DJI GO 4 app that touts several new features including SkyTalk, that allows pilots to livestream the drone’s camera feed to social channels including Facebook, Instagram and WeChat. The app’s DJI GO-Share feature transfers imagery from the Controller to your mobile device. The DJI Smart Controller claims to have 2.5 hours of battery life and the ability to operate in adverse temperatures as cold as -4° Fahrenheit and as hot as 104° Fahrenheit. The controller is available now for purchase for $649. I feel that this is a better option than having a Smartphone app to fly and view the live video feed. 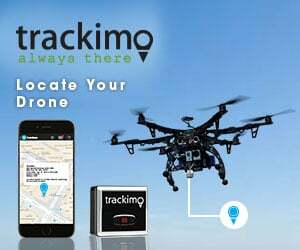 Many of the disconnects from the drone is because of the Smartphone being low in resources, memory full or too many apps being upgraded in the background as well as notifications from the various apps hogging the Smartphone processor and memory. A remote controller with screen is clean. So I definitely feel that this DJI remote controller will be better overall. There will definitely be less disconnects and I would think less crashes even. DroneZon – I FEEL THAT your comment is based on nothing other than superficial support for Drone Girl and so that the unsuspecting will check out your clickbait piece of crap site. FU. Drone Girl, you used to offer something. I can’t help but feel that you’ve become desperate and are selling out. Still not as bad as that D-Bag DroneZon. What’s a zon, anyway? Is that what gets emptied out of a D-Bag?